The Scotts Miracle-Gro company has agreed to pay millions of dollars in criminal fines for misleading the public, lying to the EPA and knowingly contaminating their bird seed products with pesticides known to be toxic to birds. Professional applicators and homeowners using pesticides are more aware than ever about the potentially serious health effects of pesticides, in humans, pets and wildlife. Because of this, many more people are reading warning labels on pesticide products and trying to use them responsibly. When a product manufacturer lies about such inherently dangerous products, it is truly a criminal act. Last week, Scotts Miracle-Gro pleaded guilty to eleven criminal violations of the Federal Insecticide, Fungicide and Rodenticide Act (FIFRA). The $12.5 million dollar fine was the largest criminal penalty under FIFRA to date. 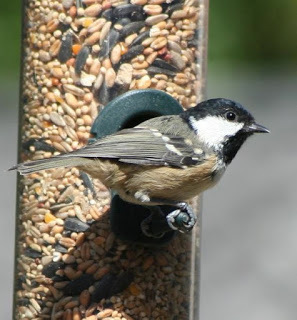 Scotts admitted falsifying pesticide registration documents, selling pesticides with misleading and unapproved labels and distributing unregistered pesticides, in addition to applying toxic and potentially lethal insecticides to its wild bird food products. Although everyone should avoid pesticide exposures, children, pregnant women and the chronically ill are particularly vulnerable. Children take in more pesticides relative to their body weight than adults and have immature organ systems that are more vulnerable and less able to detoxify the chemicals contained in pesticides. They are also disproportionately exposed because of their behavior, playing in the grass and on floors and engaging in typical hand- to -mouth behavior. Childhood malignancies associated with living in households where pesticides are used include neuroblastoma, Wilm's tumor, Ewing's sarcoma, non-Hodgkin's lymphoma and cancers of the brain, colorectum and testes. Along with other environmental health groups, we work very hard to educate the public about the links between common environmental toxins and human health and encourage non-toxic solutions to pest problems whenever possible. If someone decides to use a pesticide, the label should clearly indicate proper handling as well as the potential short term and long term health effects of the product even when used according to the label. It is highly irresponsible for a manufacturer of these poisons to ignore or even intentionally challenge federal laws intended to protect the public. Until you see it for yourself, you can't fully appreciate what fracking does to a community. As Patti and I drove deep into the hills of Pennsylvania just south of the New York border, the first thing we noticed was the trucks on the road. It's not just that they're really big. It's that there are so many of them. 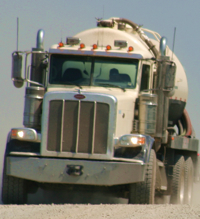 One after another, they race along tiny back roads, gears grinding, exhaust stacks belching and engines roaring as they head to or from fracking sites carrying steel tubes, diesel engines, silica sand, fracking chemicals, fresh water or toxic waste - destined for who knows where? 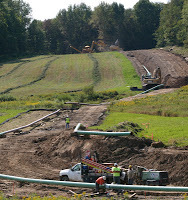 All over Susquehanna County, large swaths of forest and pastures are being hacked out and excavated to make way for giant pipelines used to connect the gas wells with sprawling compressor sites miles away. These gashes in the landscape serve as an apt metaphor for what's going on inside the community, as fracking - and the money it might bring to some - has divided families, neighbors and towns in a battle over the right of some to endanger the environment for all. We met some truly amazing individuals on our visit to Susquehanna County - brave, inspiring individuals who are standing up for what's right, refusing to back down in the face of almost inconceivable odds. We were humbled to be in their presence and witness their strength of character. We're creating some radio spots featuring the voices of the people we met in Pennsylvania. We hope their stories can inform the debate on fracking in New York.